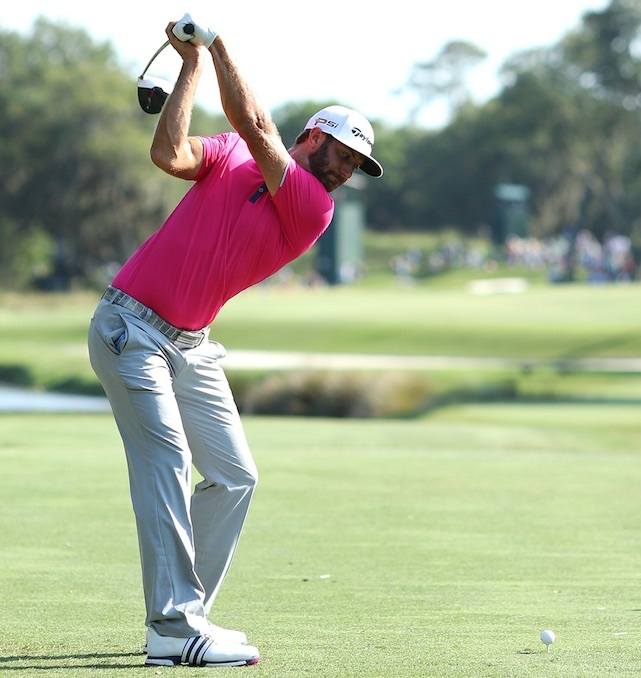 Want to get some tips from the man who knows Dustin Johnson best? That’s right, we spoke to Claude Harmon (@CH3golf) shortly after the American’s US Open win, who helped explain how you can learn from the major champion. 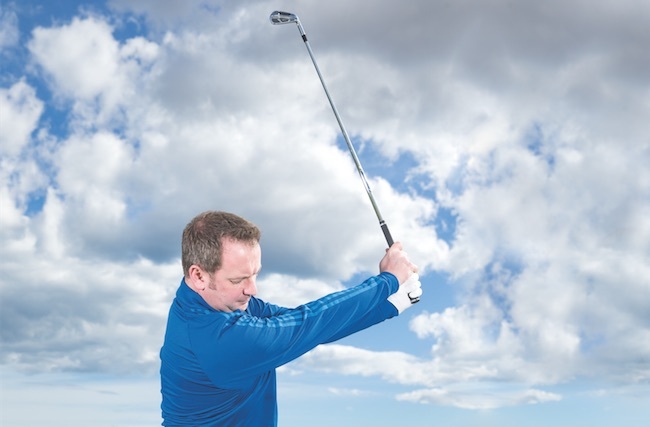 At 6ft 4in, Johnson is one of the tallest players on the tour, which is great – bigger levers give you the opportunity to create more width in your swing – but it’s not without its challenges either. Like most of today’s top players, Johnson’s ‘go to’ shot off the tee is now a fade. Harmon explains that they started working on making the move away from a draw at last year’s Tour Championship. 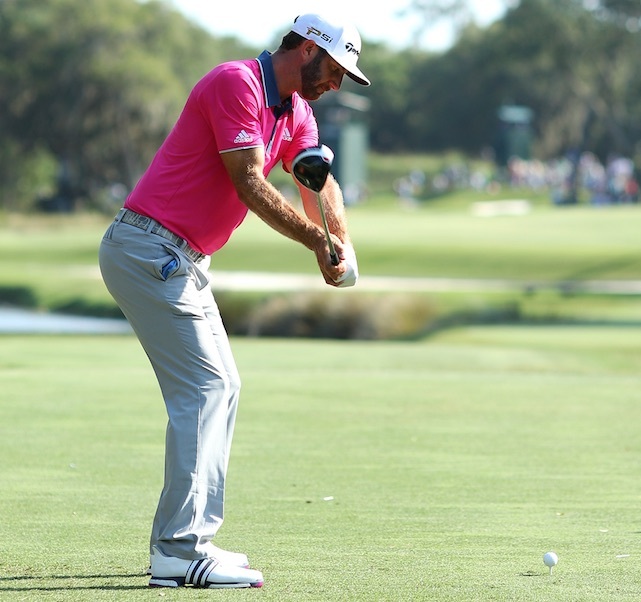 “The fade has made DJ’s driving much more consistent,” he says. 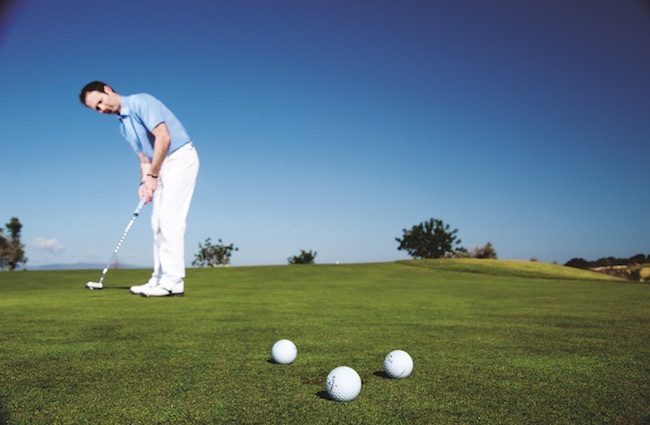 “Obviously, he doesn’t need more distance but he is always trying to hit more fairways.” A simple fix made all the difference. 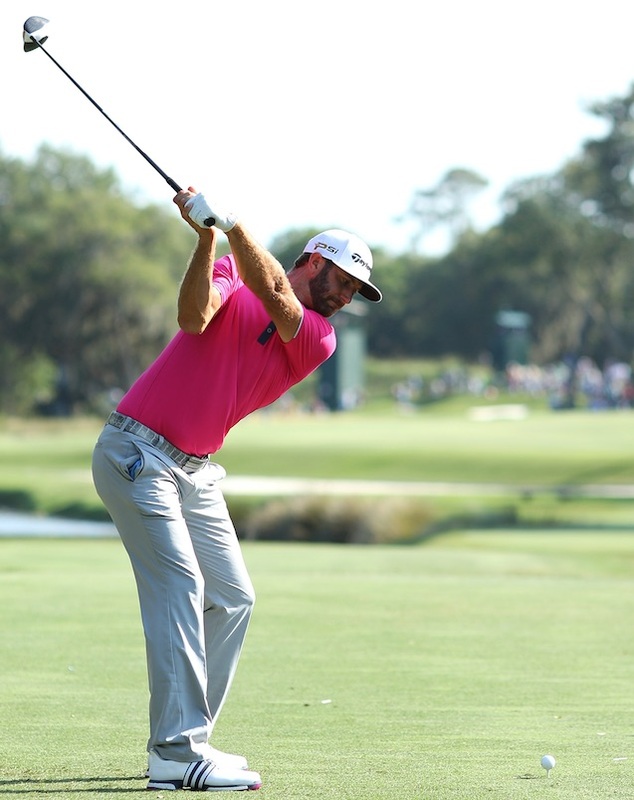 One of the problems with Johnson’s old draw flight was that his arms would occasionally get stuck behind his body. “Setting up for a draw would, at times, promote his arms getting too deep and inside going back,” explains Harmon. 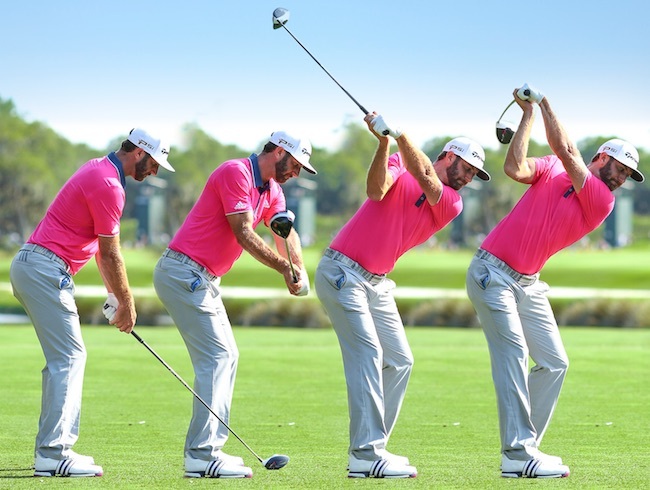 At the top of his backswing (above, right), you’ll notice that Johnson’s clubface is closed. “Thirty years ago, this position would have been changed,” says Harmon. “But this is DJ’s move and we have never wanted to change it. 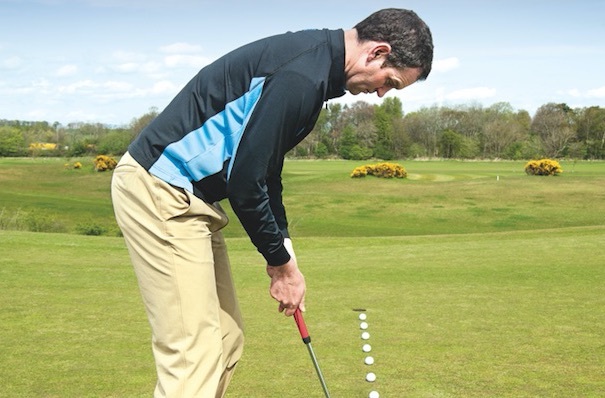 The wrist gets bowed, which is a very powerful position. 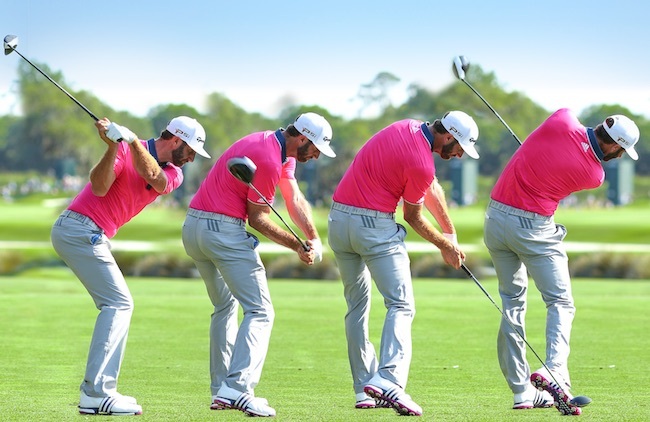 Look at DJ’s rotation through the impact area (above, second right) – rather impressive, no? This, according to Harmon, is the result of lots and lots of hours in the gym. “Around 60% of DJ’s work in the gym is lower body/ground-force based,” he says. “That’s where his power comes from – the ground up. Claude Harmon is the Director of Instruction at Butch Harmon Floridian. Follow him on Twitter (@CH3golf). Originally published on bunkered on November 24, 2016.